If your home has been flooded, you are likely to be confused as to what to do first. 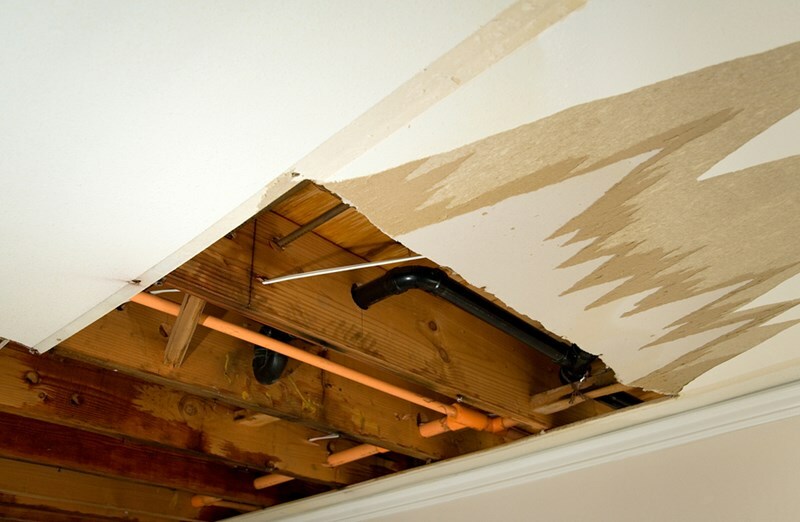 These first steps will help you tackle water damage cleanup effectively. A flood is one of the worst of all catastrophes in the home. The damage that flooding can do creates a lot of work that you probably don’t have time for. Then there is the emotional devastation to handle, too; family heirlooms, precious mementos and important paperwork might all be affected. In this article, you’ll learn where to start the water damage cleanup after a flood. Taking these first few steps will help to keep damage to a minimum and ensure you get your home back to a good condition as fast as possible and at the least cost possible. Whatever the cause of a flood, you must consider safety before anything else. The type of flood may impact how the water damage cleanup is approached – there are different concerns for heavy rains, sewer back-ups, burst pipes, and malfunctioning white goods – but your first concern must be for your safety and the safety of others. Water and electricity do not mix well. Therefore, the first thing that you should do is switch off the power – but only if it is safe to do so. If switching off means walking into or standing in flood water or on a wet surface, it is best to call an electrician to turn off the power for you. Next, make sure that you wear protective clothing when undertaking any of the water damage cleanup, or when when walking through a flooded home. Rubber gloves, boots, waterproof overalls, and perhaps goggles and a mask may be required. The type of personal protective equipment that you use may depend upon the type of flood your home has suffered (sewer water can make you very ill, for example). Next, take action to protect your belongings from further water damage. For example, if any furniture is standing on wet carpet, lift it and rest it on tin foil. This will help to limit damage from water soaking further into the furniture and causing irreparable staining. You could also remove paperwork, photos, cloths, etc. from cupboards and put them in a location where they will be safe from becoming affected by dampness, or where they will be able to dry out. You’ve stopped the flooding, ensured your property is safe, and have prevented further flooding. Now is the time to call your insurance company. They will advise you of what your policy covers, and send someone round to assess the damage. Of course, you may need to start the water damage cleanup before the assessor arrives. The insurance company will tell you what you can and should do immediately. Compile photographic and videographic evidence before any cleanup work is started. It is good practice to take as many photos as possible during the cleanup, too. All this evidence will help the insurance company determine the value of the damage caused by the flood. Finally, contact a flood restoration specialist. They should come round, inspect your property and evaluate the damage. This will be done by a combination of techniques, including using some specialist equipment to measure how wet your home is. This helps them to determine what equipment will be needed in the water damage cleanup process, and also to help your home dry out. The contractor will determine what can be salvaged, remove standing water, and undertake cleaning and drying. Likely to take the longest time is restoration work. In the home, this may include removing carpets, floors, plaster walls and drywall, and replacing. Finally, any salvageable items will be removed to be restored. If your NJ home is flooded, contact Porter’s Cleaning. We have decades of experience dealing with all types of floods, and we’re water damage cleanup experts. Whatever the type of flood, we are here to help. Contact us today for a free estimate for carpet cleaning, mold removal, fire or flood restoration.